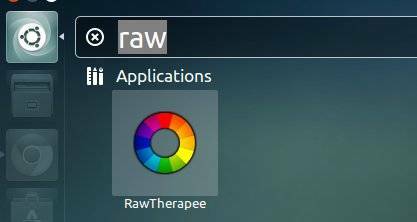 This simple tutorial shows you how to install the latest RawTherapee 4.0.11 on Ubuntu 13.04 Raring, 12.10 Quantal, 12.04 Precise using PPA repository. 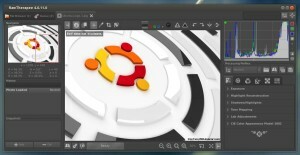 RawTherapee is a cross-platform raw image processing program written in C++, using a GTK+ front-end and a patched version of dcraw for reading raw files. It is notable for the advanced control it gives the user over the demosaicing and developing process. The latest release is available for Ubuntu 13.04 Raring, 12.10 Quantal, Ubuntu 12.04 Precise from the ppa repository. A big thank you for this. Much appreciated. I’m new to Ubuntu, so I’ve probably got a real newbies problem here, but I can easily install RawTherapee (RT) 4.0.9-4 from the software centre. …then using apt-get install rawtherapee manually Ubuntu still picks up RT4.0.9-4. I guess it must be to do with the order in which repositories are checked by apt-get…but…any advice on how to fix it would be most welcome.